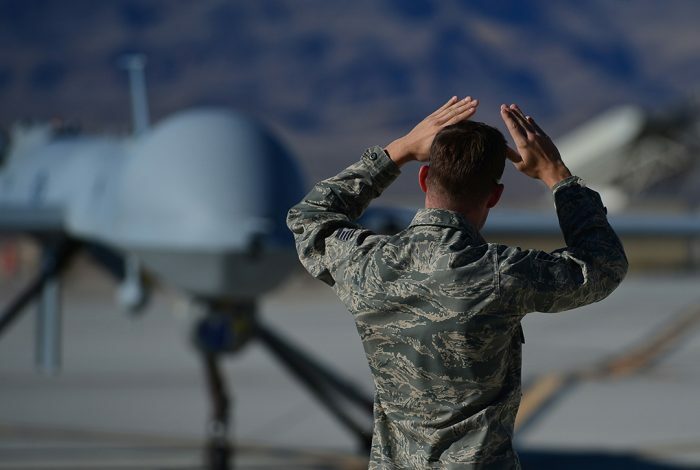 Crew chief from the 432nd Aircraft Maintenance Squadron taxis in an MQ-1 Predator remotely piloted aircraft during a post-flight inspection. Photo credit: US Air Force. In November, WhoWhatWhy alerted its readers to the fact that President Donald Trump is continuing the Obama administration’s drone war while suppressing important information on the drone strikes conducted this year. While that is bad enough, things are actually much worse. The number of drone strikes in Somalia and Yemen has soared as Trump appears to have handed much of his war-making authority to military leaders. Last April, General Thomas Waldhauser, who leads the US’s Africa campaign, told journalists that he now has the leeway to strike — without clearing it with the White House. This is a notable change from the management-heavy operations during the Obama years. However, Waldhauser planned to keep one mandate from the previous administration: that a strike can only be carried out if there is near-certainty of no civilian casualties. Yet, according to a new report, “civilian casualties have increased while transparency has decreased” in places like Afghanistan, Pakistan, Yemen, and Somalia. Further, the reasoning behind the uptick in drone strikes — and by proxy the US military footprint — is increasingly hard to understand. “We don’t have any real basis to assess, for example, why strikes have doubled in Somalia, or if any of these operations are being conducted in direct support of partner forces on the ground rather than as unilateral actions against the threats we face as a nation,” Luke Hartig, a counterterrorism adviser under Obama, told the London-based Bureau of Investigative Journalism. Trump’s constant claim of being against the 2003 Iraq war during his campaign suggested a scaling back of US presence in foreign lands. Instead, now that he’s in power, his administration has continued — and intensified — the drone policies of his predecessors.